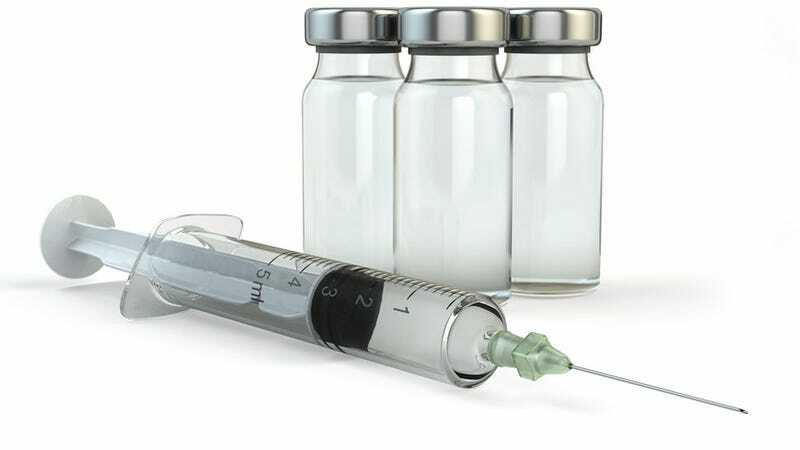 A large study of vaccine safety commissioned by the federal government has found that the dozens of inoculations children receive are very safe. The study also found no evidence linking vaccines to autism or leukemia. The government commissioned the California-based RAND Corporation to conduct an extensive review of everything that's known about childhood vaccinations after a trend in parental concern saw parents opting out of vaccines for their kids which has led to the resurgence of many diseases. The study, which was published in the journal Pediatrics, found that serious adverse side effects of vaccines are "extremely rare" and outweighed by the benefits of vaccinations. The worst adverse events include a very rare intestinal blockage called intussusception caused by the rotavirus vaccine and a rare blood disorder called thrombocytopenic purpura linked with the chickenpox and measles, mumps and rubella (MMR) vaccine. But there's no evidence linking vaccines with leukemia or autism, despite persistent rumors, the researchers found.